My favorito female student vs my least favorito female student from Class 1-A, who do you like more? My favorito male student vs my least favorito male student from Class 1-A, who do you like more? Of my 2 favorito girls from Class 1a, which one is your favorite? 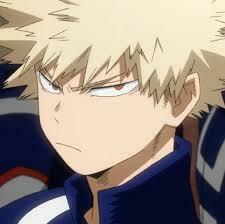 Why do you guys like Bakugou? a comment was made to the poll: My favorito female student vs my least favorito female student from Class 1-A, who do you like more? Who does Bakugou hate the most?